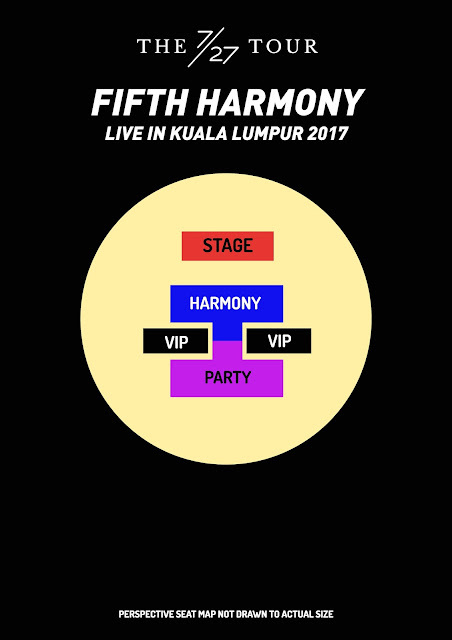 Kuala Lumpur, February 2017 – Take note to all Malaysian #Harmonizer! 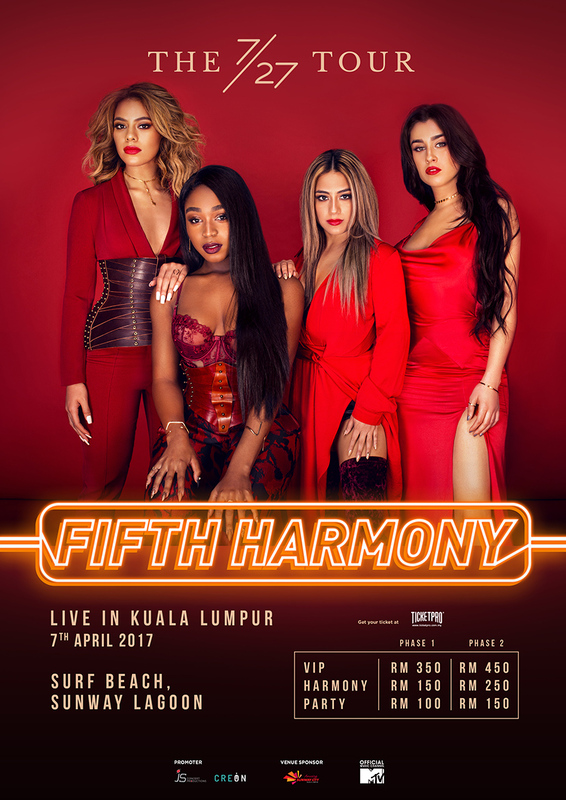 The pop powerhouse group FIFTH HARMONY will be coming over to Malaysia on 7th April 2017 for their FIFTH HARMONY THE 7/27 TOUR! Prior to traveling to Asia, the girls of Fifth Harmony will kicked off their 2017 with their first live performance of the year at the People’s Choice Awards on January 18 in Los Angeles, CA. The group will also return to the studio this year to begin recording new music, committed to their loyal Harmonizers and ready to take 2017 head-on with their best music yet. Fans can expect to hear new material in 2017 via Syco Music/Epic Records, the label that has been with the group since their incarnation on The X Factor U.S.A.
Limited Phase 1 tickets available now at RM100, RM150 and RM350. FIFTH HARMONY – THE 7/27 TOUR LIVE IN MALAYSIA at Surf Beach Sunway Lagoon is brought to you by JS CONCERT PRODUCTIONS SDN BHD & CREON ASIA.